Overextended from creating a portal escape from Sentinel Services, Blink is sick and causing rogue portals to open at Mutant Underground headquarters. At risk of compromising their location, and dying if she doesn’t get medical attention, Eclipse and Kate go to steal medicine while Lauren struggles to close the portals before anyone tries to get through. Will these “space holes” be the end of them, as Kate coins the portals? What ‘rX’ does super effectively is acknowledge the state of mind of all the characters. A lot has happened in a short amount of time, and the Struckers haven’t had a chance to reflect on how their lives have changed. It’s easy to forget Andy is coming to grips with powers for the first time but it makes a difference that Lauren remembers, and checks-in to see how her brother is doing with all the new developments. Kate’s storyline this episode stretches her character without turning her into a supermom overnight. She’s not a character who could suddenly go undercover and not get caught, but pretending to be a nurse falls under her very specific purview, as a nurse professionally. That advantage makes her up for the task, and it’s meaningful to have Eclipse point out she stuck by her kids when she found out they had special abilities. It’s easy to focus on Kate’s flaws, like her penchant for stating the obvious, but she never wavered from wanting to support her children. Otherwise, the show is very upfront about the Struckers being new to supporting mutants. Until the Underground’s cause became their personal business, they were inclined to look the other way. That doesn’t mean the show doesn’t try extra hard to keep the Struckers in our good graces. Like last episode, there’s another scene of the show trying to paint Reed as having a sympathetic history towards mutants, but with a limited willingness to stick out his neck for them. This helps sell Reed’s betrayal at the end of the episode. Not that anything is set in stone, but given how much time the pilot spent painting Kate and Reed’s adorable marriage, it stands to note how different their days are after being separated. Kate has begun to realize the prejudice that exists against mutants and steps up to support the cause, as well as her children. 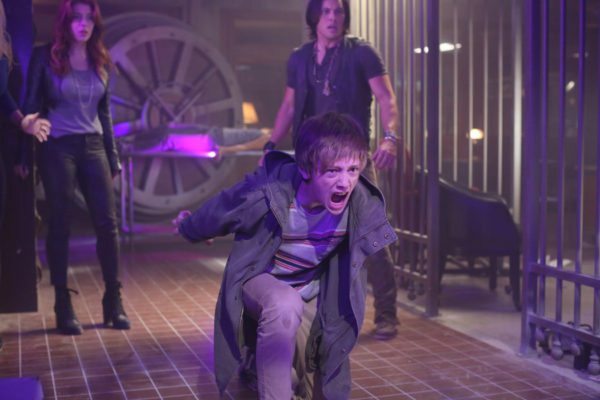 Reed is ready to give up the Mutant Underground if it will secure his family’s immunity. 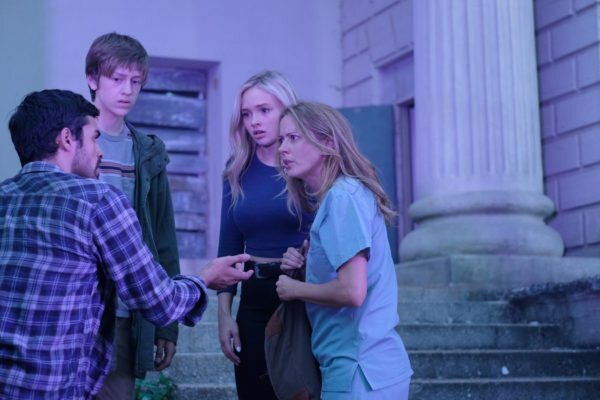 The Gifted has a romantic sensibility, from the way the show is filmed (transitioning from Polaris to Eclipse), to its themes (a mother’s willingness to do anything for her child). Depending on how long they stay apart, this could set Kate and Reed on very different paths and sides. Lauren continues to be one of the show’s most fascinating characters. Having the episode open with a glimpse of what her life was like when she kept her powers a secret is great territory for The Gifted to explore and says a lot about who she is, and how her powers standout. One aspect of being a mutant that is cemented this episode is how much stress can affect a mutant’s control of their abilities. Lauren’s are defensive, and less prone to hurt anyone, but Andy, and now Blink and the young girl at the bowling alley, have powers that can be dangerous. What’s tricky is there is some credence to mutants being a risk to public safety. Blink is hurting her friends when her powers go haywire. It’s entirely an accident but people might’ve died. What this does not change is humanity’s answer for dealing with mutants. A blatant violation of civil rights, mutants are people, too, yet there’s an erasure of that fact, along with any consideration of motive. Damage gets blanket labeled as crime and no one is arguing distinctions. The climax of Blink’s illness gets a bit wonky. Blink’s portals had been opening to the same street every time but suddenly there are laser beams and a lack of clarity over who’s doing the shooting. The last-minute interest in Lauren and Andy being mutant siblings is also too much of an afterthought for this episode to address. It’ll probably be important, the same way Reed’s dad in Chattanooga probably has a point, but could’ve held until episode three. 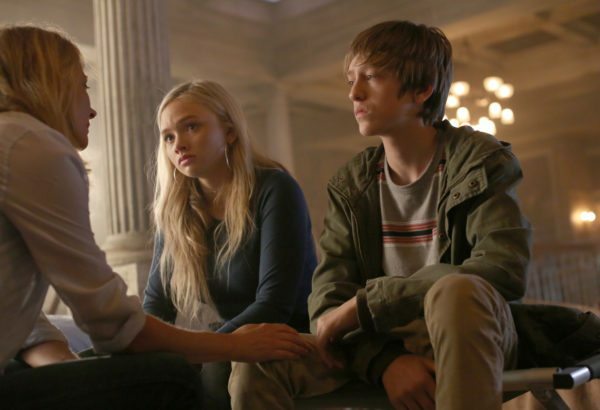 The Gifted gave us plenty to think about this week without needing a cryptic, closing tag.